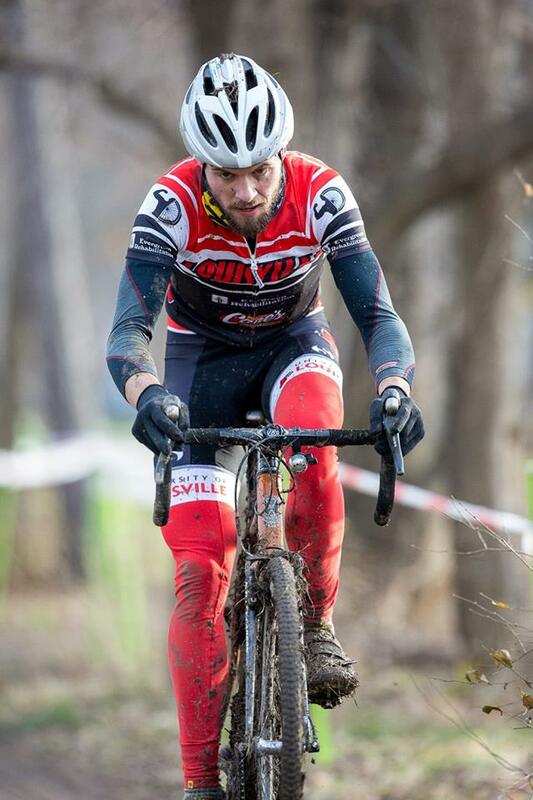 Louisville, KY- The SCC finished its first collegiate cyclocross season in 5th place in Div. 1 and 7th overall in the MidWest Collegiate Cycling Conference. 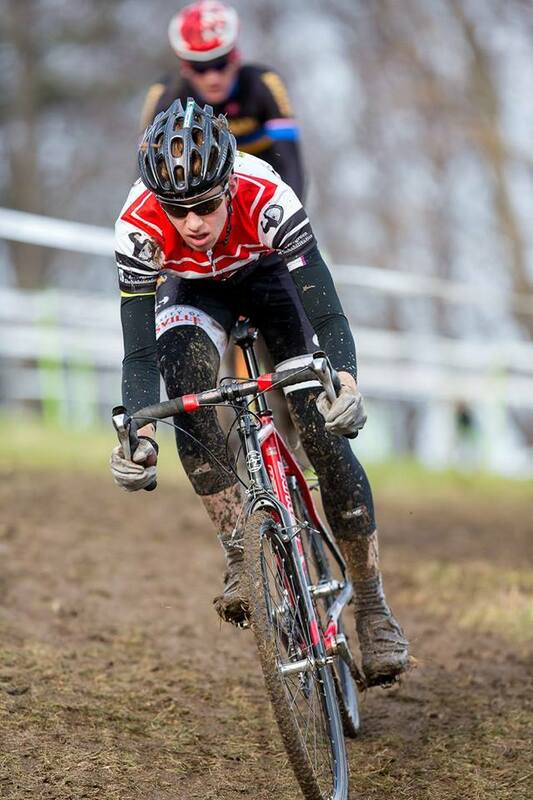 This year the Cards travelled to Wisconsin, Chicago, and Indianapolis for collegiate cyclocross races, finishing in 5th place in Division 1 behind the strong performances of John Francisco and Abner Miralda. The eleven-team MWCCC Division 1 features powerhouses Lindenwood and Marian Universities, taking 1st and 2nd places respectively. Then Purdue and Ohio State took 3rd and 4th, edging the SCC with better women’s results. Combining the two divisions, the SCC finished in 7th place in the 17-team conference. Full results for the team and individual standings can be found here. Conference director, Andrew Rizzo’s photo gallery of the collegiate championships can be seen here. The SCC is now in preparation for the Road season in the spring of 2015. That race calendar has not yet been set. Follow the SCC on Twitter @UofLcycling and like us on Facebook! 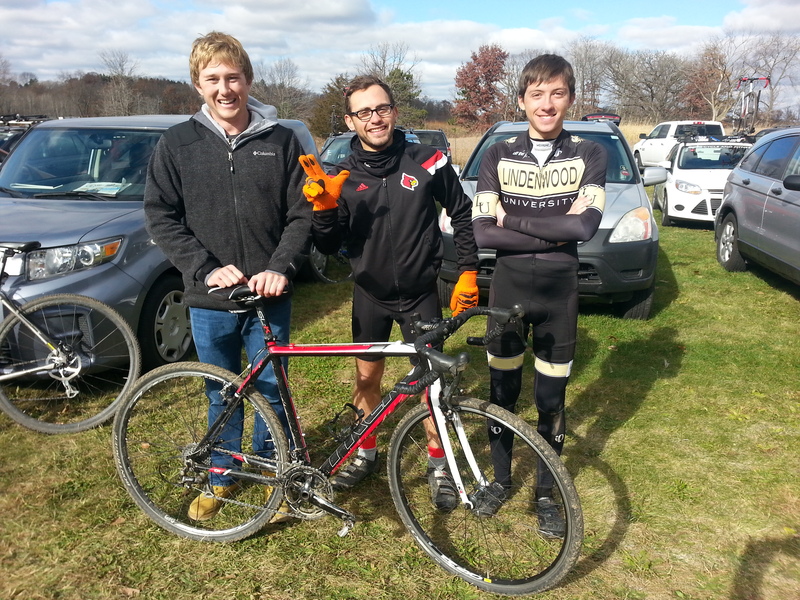 Josh Goodman poses with riders from Lindenwood University after the B race in Wisconsin on Nov 8, 2014.